Home > Peter Drach d.M. 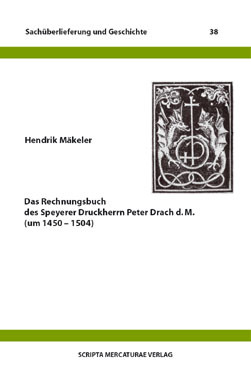 The account book of the printmaster Peter Drach of Speyer is a unique source for the booktrade in the late 15th century. A thorough evaluation of the account book has shown that Drach’s business activities were founded on the participation of his family, whose members are introduced to the reader. Even though Drach’s business was flourishing, he could not cope with losing the city council’s support. Therefore, his wholesale trade collapsed in the 1490s. The loss could not be compensated for by the retail trade. After Drach’s death in 1504, his wife sold the business to one of his sons. However, the book trade never regained its former scale.